This article first appeared in City & Country, The Edge Malaysia Weekly, on October 15, 2018 - October 21, 2018. 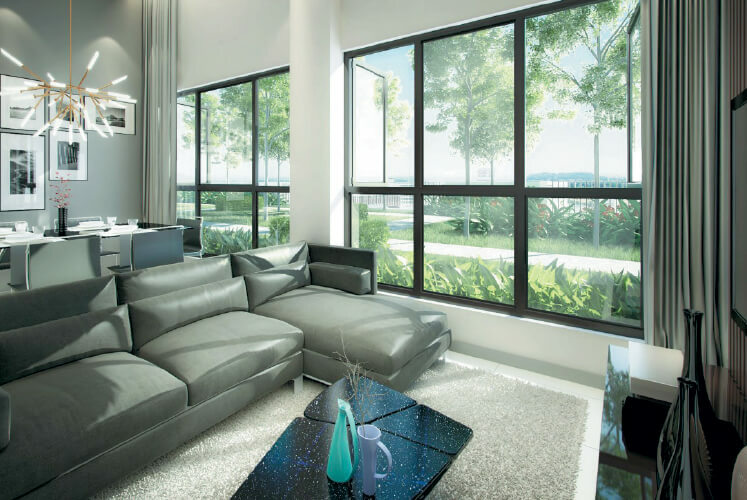 Gamuda GM Klang Sdn Bhd, a joint venture between Gamuda Land and GM Klang Sdn Bhd, will be launching GM Remia Residence in Klang, Selangor, on Oct 21. Occupying a 2.99-acre freehold parcel, the 24-storey, single-tower serviced apartment will have 350 units. 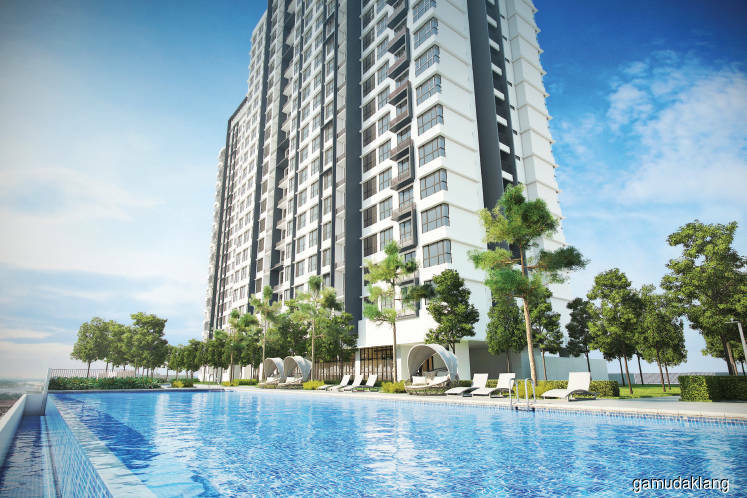 The project has a gross development value (GDV) of about RM180 million. Located in Bandar Botanic, GM Remia Residence is a stone’s throw from GM Klang Wholesale City and Botanic Capital, the commercial district of Bandar Botanic. About 600m away is the upcoming Batu Nilam light rail transit (LRT) station, which is part of LRT3. All units will come with three bedrooms and two bathrooms, and have built-ups of 815 to 899 sq ft each. According to senior general manager Robinn Low, the decision on the unit size was made based on the target market. “Our target market is people working and living around the area, young families and a small group of investors. As there are many businesses here, some business owners may want to buy a unit for their own stay or as a home away from home,” he explains. Thus, the development will have a basic and contemporary design, he says. While there will only be one block, it will look like two because there will be two wings separated by a lift lobby. There will be nine units on each wing, on each floor. 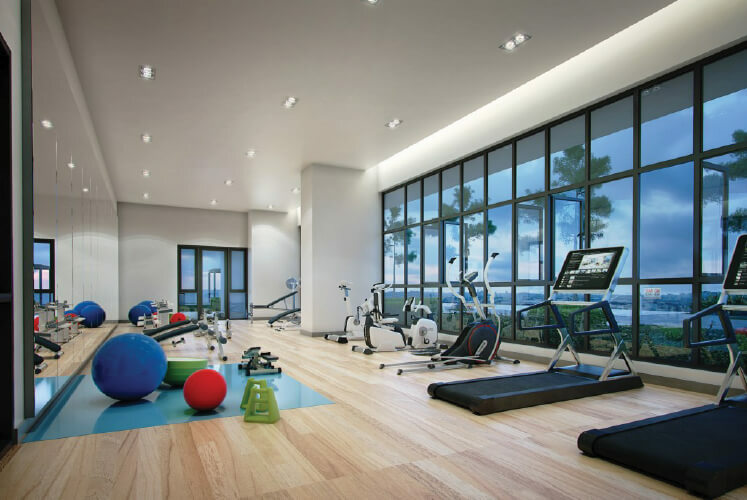 The facilities provided will also be basic, and include a swimming pool, gymnasium, barbecue pit and jogging track. Each unit will be allocated two parking spaces. “There is nothing too fancy that the buyers won’t use. The unit sizes are not huge as well and they cater nicely for young families. Hence, the price range will suit their pockets,” says Low. The average selling price is RM500,000 to RM600,000, and the maintenance fee is estimated at 20 sen psf. After the soft launch a couple of months ago, about 30% of the units have been taken up. Low says the joint-venture company will be developing more than 30 acres in the area. GM Klang Wholesale City and GM Remia Residence take up 17.49 acres while the rest is planned for commercial projects. GM Remia Residence will be the only residential development in the master plan, he adds. “There aren’t many high-rises in the area and with so much business opportunity and activities here, there is a market for this type of development,” says Low. Although the property market is said to be flat and depressed, Low is confident of seeing good sales at GM Remia Residence due to its location and target group. “Of course, I can’t say that it will be like many years ago when there was 100% sales when we launched our project but we are quite confident that it will be plain sailing,” he says. Kemuning-Shah Alam Highway, North-South Expressway Central Link, Shah Alam Expressway, New North Klang Straits Bypass, Federal Highway, New Klang Valley Expressway, Damansara-Puchong Expressway and South Klang Valley Expressway. Foundation works were completed a month ago and work has begun on the building. Construction is slated to be completed in three years’ time. 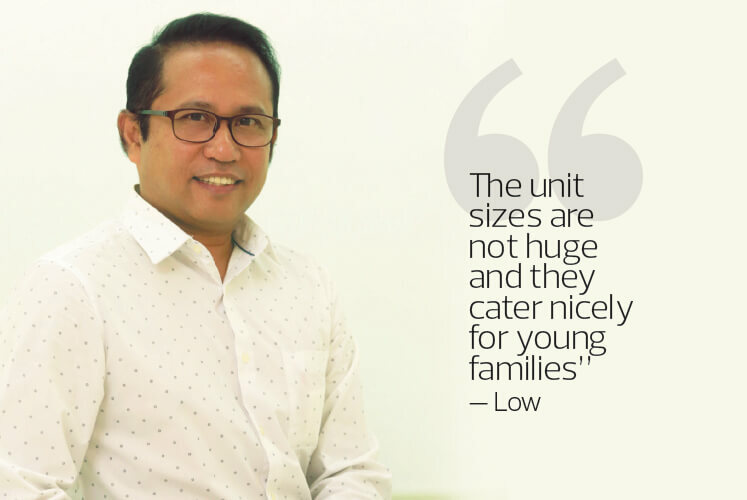 According to Hartamas Real Estate (Malaysia) Sdn Bhd group managing director Eric Lim, there are only two serviced apartments and no condominium projects in the Bukit Tinggi and Bandar Botanic area. The average built-up is 1,110 sq ft and the price is around RM600 to RM700 psf. Bukit Tinggi and Bandar Botanic, he says, are mainly landed property residential areas and many people still prefer landed properties. “There was good demand during the first phases of the high-rise properties but demand in the subsale and rental market is weak currently. As the price for high-rises is comparable to landed properties, demand has been weaker,” says Lim. Moving forward, he opines that when the proposed LRT station is completed, the entire area could see a rise in property value. Other than developing GM Remia Residence, Gamuda GM Klang is also managing GM Klang Wholesale City, which was named the biggest wholesale mall in the country by The Malaysia Book of Records last December. Phase 1 of the mall, which is the current Block C, was opened in October 2009. Low says Block C is only a temporary structure, and the developer plans to demolish it and build two permanent blocks in its place. Blocks A and B, which are permanent structures that were constructed after Block C, have a combined GDV of RM1 billion. Blocks A, B and C have a net lettable area of over 600,000 sq ft in total, and they are 70% tenanted at present. There are more than 1,500 shops in the three blocks. The next phase of development for the mall involves Block C. Plans for a new Block C and Block D have not been confirmed but Low reveals that there will probably be some lifestyle elements. For now, Gamuda GM Klang plans to focus only on the 30 acres in the area. “The Batu Nilam LRT station will come with Park N’ Ride facilities, and it is located just behind the wholesale mall. One of our parcels, which is about 4.2 acres, is beside it. Thus, we now have to re-plan our developments because, all of a sudden, the land has become more valuable thanks to the LRT and Park N’ Ride facilities,” Low explains. While the retail business has been affected by market sentiments, GM Klang Wholesale City’s business model is different from that of conventional shopping malls, which involves elements such as lifestyle, entertainment and high-end branding, he stresses.